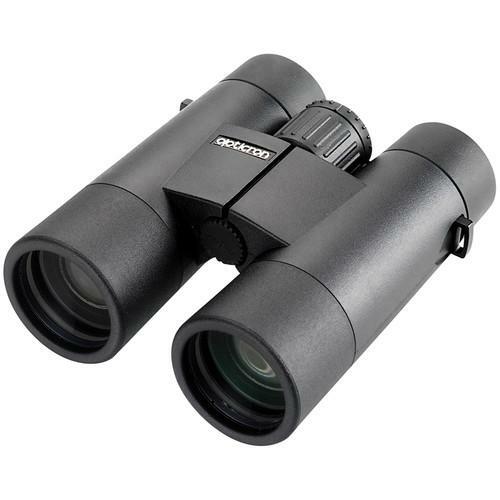 We recommend checking out our discussion threads on the Opticron 10x42 Countryman BGA HD Binocular 30606, which address similar problems with connecting and setting up Binoculars Opticron. The user manual for the Opticron 10x42 Countryman BGA HD Binocular 30606 provides necessary instructions for the proper use of the product Optics - Binoculars - Binoculars. Designed for the discerning birder or nature enthusiast, Opricron's 10x42 Countryman BGA HD Binocular delivers bright and clear high-contrast images with accurate lifelike colors through the application of the highly-reflective, 64-layer Oasis phase-coating system on the roof prisms. The Countryman is offered here in a 10x power, which walks the delicate line between an increased viewing distance over lower magnification optics, while maintaining a wide-angle field of view. Its 42mm objective lenses draw in appreciably more light than smaller objectives increasing image brightness, especially in low-light conditions. The housing is nitrogen-filled and o-ring sealed enabling it to withstand use in wet and snowy weather, and the rubberized armor offers protection from impacts while providing a slip-resistant grip. Three-position twist-up eyecups makes it comfortable to use with or without eye wear. Interpupillary Adjustment 56 - 74 mm / 2.20 - 2.91"
The user manual for the Opticron 10x42 Countryman BGA HD Binocular 30606 can be downloaded in .pdf format if it did not come with your new binoculars, although the seller is required to supply one. It is also quite common that customers throw out the user manual with the box, or put the CD away somewhere and then can’t find it. That’s why we and other Opticron users keep a unique electronic library for Opticron binocularss, where you can use our link to download the user manual for the Opticron 10x42 Countryman BGA HD Binocular 30606. The user manual lists all of the functions of the Opticron 10x42 Countryman BGA HD Binocular 30606, all the basic and advanced features and tells you how to use the binoculars. The manual also provides troubleshooting for common problems. Even greater detail is provided by the service manual, which is not typically shipped with the product, but which can often be downloaded from Opticron service. If you want to help expand our database, you can upload a link to this website to download a user manual or service manual, ideally in .pdf format. These pages are created by you – users of the Opticron 10x42 Countryman BGA HD Binocular 30606. User manuals are also available on the Opticron website under Optics - Binoculars - Binoculars.